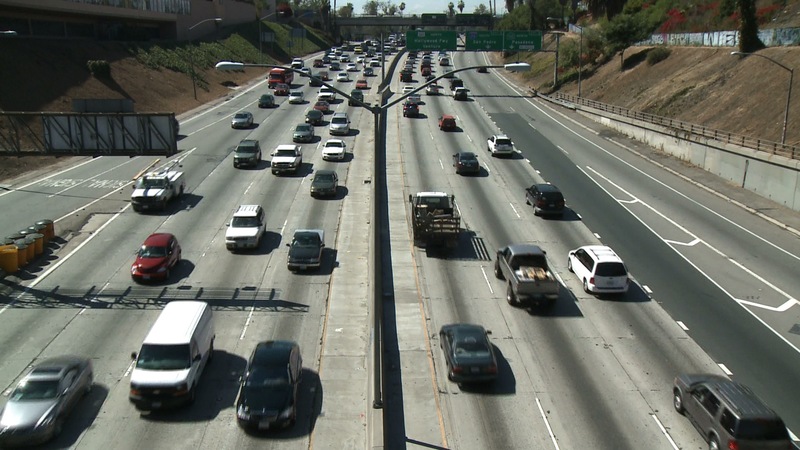 SAN DIEGO–The California Transportation Commission (CTC) has allocated $510 million to 83 transportation projects that will put people to work improving the state’s highways, bridges, and public transit. One of the highlights of the meeting was the CTC revising its funding estimate upward for the State Highway Operation and Protection Program (SHOPP) for the 2014-15 fiscal year from $2.2 billion to approximately $2.4 billion. The revision was in response to the new state budget, which provides $351 million in new transportation funding through the early repayment of loans made to the General Fund. The new funding includes $210 million for the SHOPP, which pays for transportation safety projects, pavement repair and preservation work, and upgrades bridges; $27 million for Caltrans maintenance projects; $100 million for city and county transportation; $9 million for bicycle and pedestrian projects under California’s new Active Transportation Program; and $5 million to mitigate environmental effects of proposed transportation improvements. The $510 million in CTC funding allocations include nearly $163 million for “fix it first” projects that will repair bumpy pavement, preserve roads that are in good condition from deteriorating and upgrade bridges to make them safer and stronger. Most of California’s highways are more than a half-century old, and they carry nearly half of the nation’s container freight – heavy loads that pound our highways more than any other state. The allocations also include $104 million from Proposition 1B, a transportation bond approved by voters in 2006. To date, more than $17 billion in Proposition 1B funds have been put to work statewide for transportation purposes. In Imperial County east of Calexico, asphalt pavement on State Route 7 just north of the U.S./Mexico border will be replaced with concrete pavement to improve safety and ride quality. This “fix it first” State Highway Operation and Protection Program (SHOPP) project received $11.4 million in allocated funds. A project to rehabilitate more than 26 lane miles of pavement on State Route 67 from Interstate 8 to the San Diego River Bridge in Lakeside received $16.15 million in SHOPP allocations. Another “fix it first” project in and near the city of San Diego will extend pavement service life and improve ride quality on State Route 905 from west of Caliente Avenue to State Route 125 and received $4.65 million.